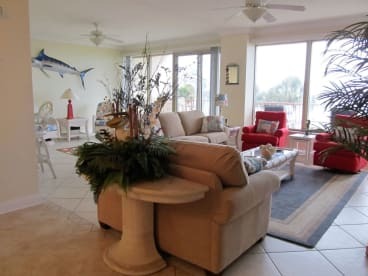 We would like to thank you for considering our property for your vacation rental in Panama City Beach, Florida. We know you will find it to be as beautiful and ideal as we do for making your stay at Panama City Beach perfect! 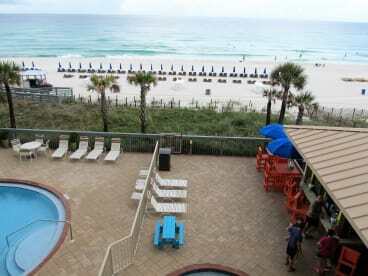 Our family has been vacationing in Panama City Beach since our children were young. We have always wanted to purchase a condo, however, never found a place that we wish to return to year-after-year. That changed after we fell in love with the condominium complex, Hidden Dunes. In 2001, we purchased a new second floor, 3 Bedroom/3 bath unit for our own personal use and spared no expense for furnishing our new beach home. We purchased another new condo at the Gulf Crest Resort and now have it available for use. They are both spectacular places to stay! Our family has always tried to rent second/third-floor condos. We found it often offered the best mix of an excellent beach view, while also allowing quick, convenient beach access. Our two condos offer both perfectly. We consider the locations and amenities perfect, and believe you will feel the same way!